If it didn't already feel like your cell phone service is a ripoff, Google made that abundantly clear this week with Project Fi. 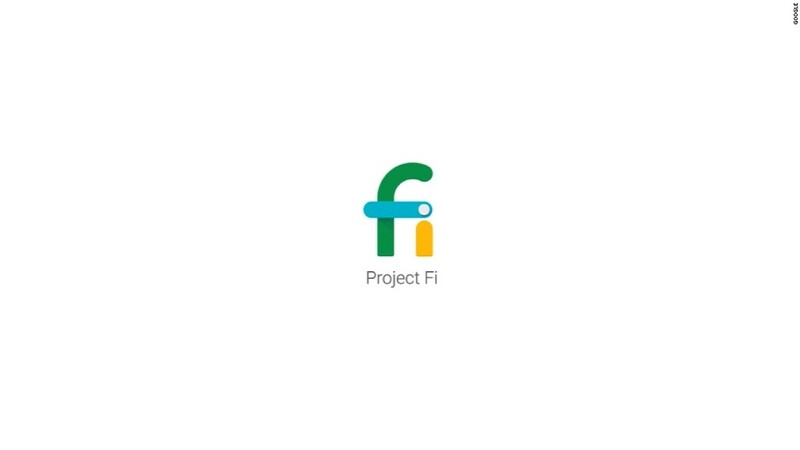 Project Fi charges the standard $10 per gigabyte, but Google (GOOGL) is offering to repay customers for the smartphone data they don't use. For example, if you have a 3-GB-a-month plan, and you only use 2.2 GB, Google will provide an $8 credit on your next bill. Republic Wireless announced a similar plan earlier this week. That seems like an obvious way to bill customers. We only pay for the exact amount of gas, electricity, heating oil and water we use. We don't pay the supermarket $1,000 a month upfront for groceries and lose out if we only bought $580 worth of food. But that's exactly how the Big Four cell phone companies operate. Wireless customers who subscribe to Verizon, AT&T, Sprint and T-Mobile pay for big buckets of data -- whether they download up to that limit or not. To be fair, some Big Four plans are better than others. AT&T (T) and T-Mobile (TMUS) offer limited data rollover plans that allow you to carry over unused data into the next month. But if you don't use that data after a certain period of time, you still end up losing it. AT&T lets data roll over for just one month, and T-Mobile lets data roll over for a year. Verizon (VZ) and Sprint (S) customers don't get to roll over any data. If you pay for 4 GB and you only use 1.5 GB, that extra 2.5 GB goes back into the pockets of your carrier's very happy shareholders..
That's particularly stunning, given the some of the carriers' wireless service profit margins. Verizon just announced this week that 55.8% of the revenue it made from wireless last quarter was profit. Sprint, the national carrier that's in by far the worst financial shape, had a 15.5% wireless service profit margin in the fourth quarter of 2014 (its first quarter financial statement comes out in two weeks). Now, you do get what you pay for to a certain degree. Verizon and AT&T have far better service than Sprint and T-Mobile on average, according to independent wireless network tester RootMetrics. Project Fi piggybacks on Sprint and T-Mobile's networks, and Republic Wireless runs on Sprint. Both services also have extremely limited phone options -- you have to use a Nexus 6 on Google's service, and Republic Wireless only lets you use a Moto X, Moto G or Moto E.
The big guys also can be cheaper if you're a heavy data user or have a family plan. For example, Verizon would charge a family of four that uses a combined 10 GB of monthly data $140 a month under its "Edge" plan. Google would charge those same people $45 a month each, for a combined $180 a month. But that's assuming they used exactly 10 GB of data. If they only used a combined 5.5 GB in a month, Verizon would still charge $140, and Google would charge $135. Despite Project Fi and Republic Wireless' limitations, they could ultimately make some waves if they start to catch on. Wireless upstarts have had some success in shaking up the industry lately. T-Mobile, in particular, even though it remains buried in last place among the national carriers, has played a key role in getting rid of customer-unfriendly wireless standards, such as two-year contracts and expensive international roaming, and prices across the industry have begun to fall. The Big Four don't screw you over equally, but charging you for data you don't use is a ripoff no matter how you slice it. Here's hoping that's another bad practice that goes the way of paying 20 cents per text message this year.